You can't hold an email. The next time someone hands you a business card, really look at it. Is it shiny or matte? How thick is it? Does it bend easily? Whatever the answers, that card is doing things that other media cannot do—connect. People touch brochures, cards, booklets, postcards, folders, and other printed pieces. They may tap a screen, but they don't touch emails. No matter what, people have to physically interact with printed pieces. Their senses engage, and if the materials are right, they're curiosity piques. Create something arresting that stops people in their tracks. Make them take notice and hold your card, your brochure, or your postcard for some time. Because holding on is unique to print. 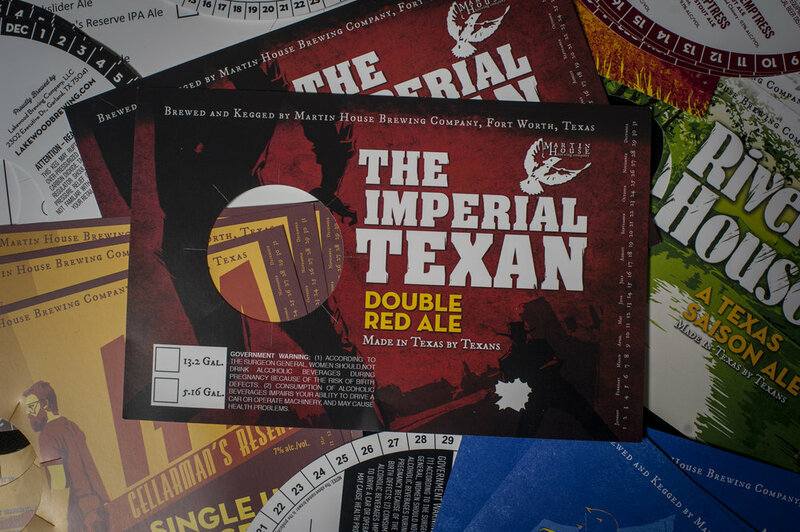 The Dallas-Fort Worth area has experienced an enthusiastic interest in craft beer. 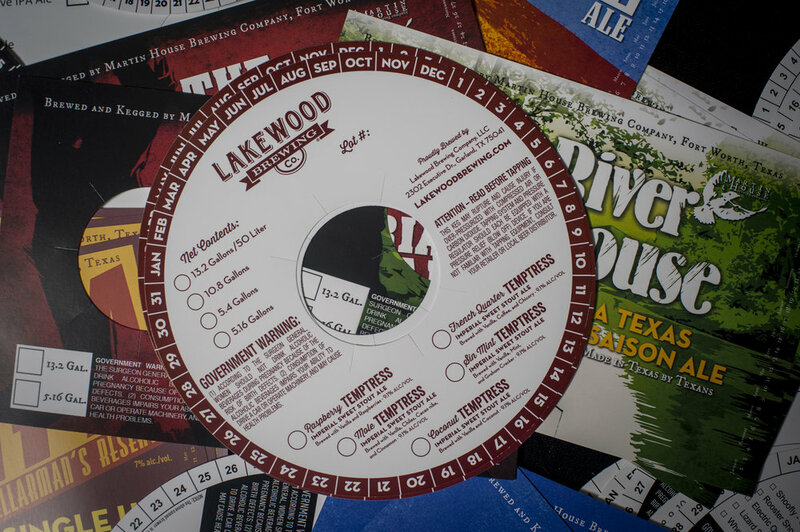 We have several local brewery clients for whom we print keg collars. We printed a full collection of custom business literature for Dallas Oral Surgery Associates, including embossed business cards, appointment cards, bags, notepads, folders, envelopes, and more. Ideal for receipts, orders, invoices, and more, we can create completely custom carbonless forms to help give your company a more professional appearance while cutting down on copy time. Once you design your book, presentation, or printed program, the binding keeps it all together. We offer a variety of biding options, including spiral bound, perfect bound, tape bound, and stapled. We can print, cut, and create any folder you can think of, or we can offer some ideas of our own. For paper, you choose textures, matte, or glossy. We can even add cuts for different shaped pockets or die cuts for more visual appeal. And we can print your logo directly on the folders with ink or even foil stamping. Embossing is another option that adds professionalism. The IAVM has a very defined brand thanks in part to an entire collection of literature. We print all of their annual conference materials, including folding brochures, handouts, booklets, business cards, and various collateral pieces for their members. 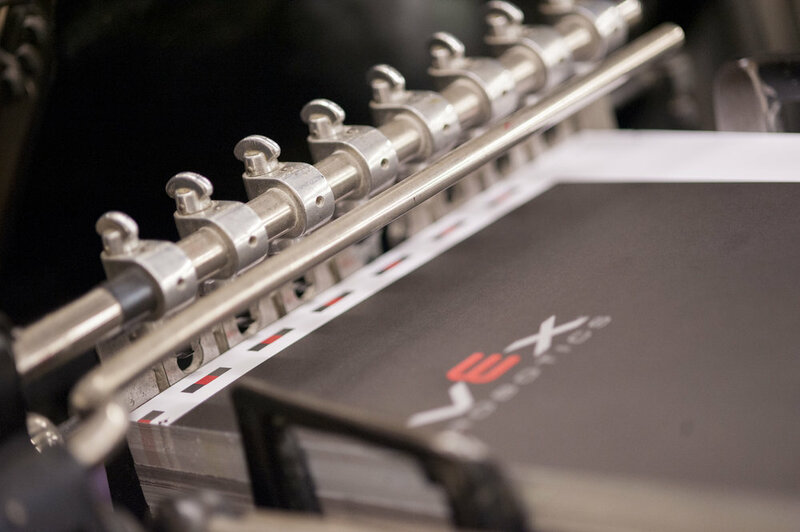 From printing to kitting, we've done it all. What are your printing needs? Let us know and let's see what we can do.